Interview with Jim Wynorski (17m 40s, HD) This is the first of four brand new interviews conducted for this release. Wynorski covers the casting, location shooting, rewriting the script, the costumes, the monsters, and working with Louis Jourdan. This is a really fun interview that offers a lot of information and fun facts. Interview with Arnie Holland (5m 20s, HD) Holland is the owner of the film and was in charge of distribution and sales when the film was made. 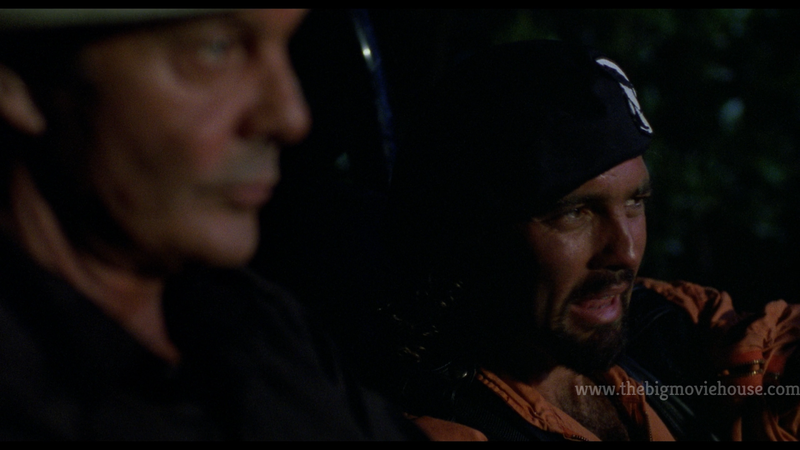 He talks about the film’s theatrical distributor, Miramax, and how they fought over marketing. Miramax won that fight and the film fared poorly at the box office. This is a nice short interview with Holland getting to talk about everything he wants to talk about. Interview with Chuck Cirino (6m 47s, HD) Cirino composed the score for the film and talks about his influences for the score. 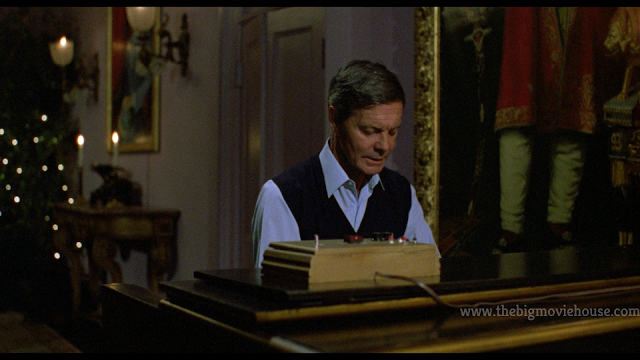 We also learn that there is a different score for the first half hour of the film that he has. Interview with Leslie Rosenthal (9m 25s, HD) The last of the new interviews, Rosenthal talks about being the editor on the film. She talks about how different scenes were shaped, especially the love scene. 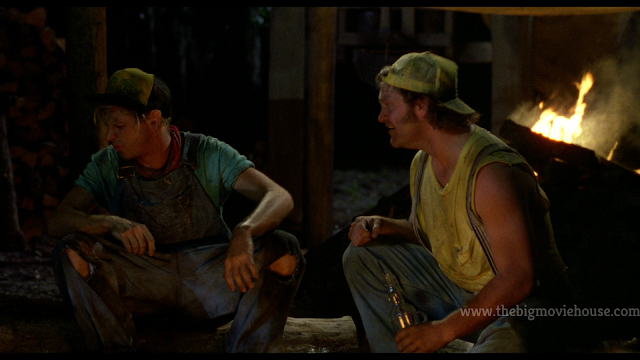 That scene was shortened because Locklear hated the actor playing human Swamp Thing and you could tell in the footage. She also talks about how the opening credits were done by cutting up old Swamp Thing comics and rotoscoping them. Behind the Scenes Slideshow (2m 22s, SD) Chuck Cirino’s score plays as the stills auto play. Public Service Announcements (1m 3s, SD, 1.33:1) The two kids from the film and Swamp Thing talk about how it is bad to litter. The second PSA is a shortened version of the first one. 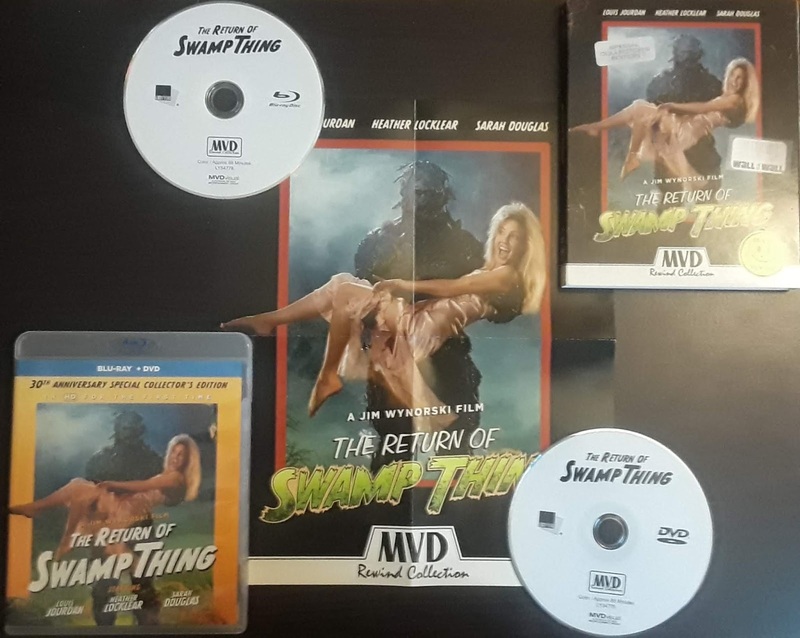 The Return of Swamp Thing comes to us from MVD as part of their Rewind Collection. The slip sleeve included with the release is beautiful as they have always been from MVD for this collection. The front of the slip features the artwork that the producers had made up for the film’s theatrical release. This artwork was changed by the film’s theatrical distributor, Miramax. Luckily, the artwork that Miramax used was a dud and all future releases of the film feature the correct artwork with Swamp Thing holding Heather Locklear. This cover is also made up to look like it is a video store rental. I like that MVD is doing this and it sets them apart from the other genre companies. The cover for the blu-ray case itself is reversible. The main cover is just a color variant of the poster. This time the color is yellow instead of black and the sports a “30th Anniversary” banner (which isn’t until 2019, but who’s counting?) and a “Blu-ray + DVD” banner as well. The rest of the package contains two discs: one blu-ray, one dvd and a mini poster of the featured artwork. 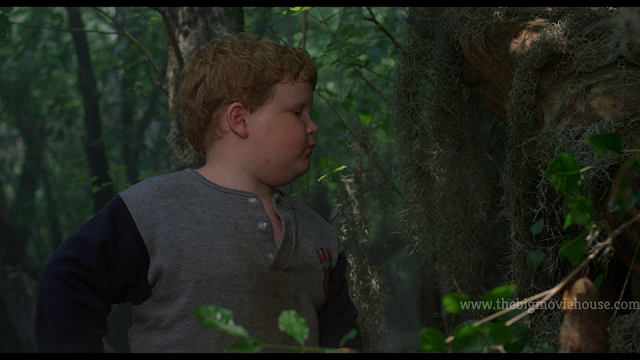 Sporting a brand new 2K transfer, The Return of Swamp Thing retains its 1.85:1 aspect ratio and looks fantastic. The one thing that you will notice above anything else while watching this film is how powerful and beautiful the color green is. It is the film’s dominant color and it just pops off the screen, whether it be on the titular character or the trees in the swamp. Other colors fare well but not as well as green. Skin tones look accurate and blacks are deep and rich. There is also a fine layer of grain that allows for some really nice detail throughout. There were a few points in the film where I felt that the picture was a bit too dark, but I can’t tell if that is the film itself or the transfer. Either way, this is a great transfer that will hold up very well for years to come. The sound, courtesy of a 5.1 DTS-HD Master Audio track, is really nice. The entire soundscape is full of action so the surrounds get a really nice work out. From big to small, the sound is always on point and never loses itself. Dialogue is also crisp and clean and there are no distortions to the track that I could find. 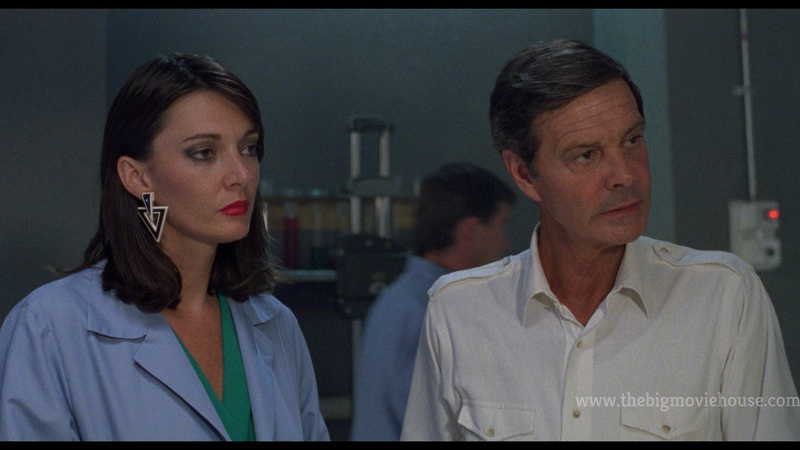 After her mother's mysterious death, Abigail Arcane (Heather Locklear) travels to the Florida swamps to confront her resurrected evil stepfather Dr. Anton Arcane (Louis Jourdan). In an attempt to stave off the effects of aging, Dr. Arcane, assisted by Dr. Lana Zurrell (Sarah Douglas), combines genes from various swamp animals and human beings, creating an army of monsters known as Un-Men. When Abby arrives, Dr. Arcane is hell-bent on taking his own stepdaughter’s life in the name of science… that is until she is rescued by SWAMP THING in this must-see sequel to the original cult classic and based on the award-winning DC Comics series! The Return of Swamp Thing was a film that I saw back in the VHS days. I saw the trailer on another film I rented and knew that I had to see it. When the film was finally released on VHS (seemed like it took forever too), I begged my mother to rent it for me. She obliged and I sat down to watch it on a Saturday afternoon. I didn’t care if my house was burning down around me: I HAD to see the film. An hour and a half later I turned the VCR off and sat in silence. I knew that I had seen a great film. The advertisements were not wrong on this one. Everything that was in the trailer was in the film. I was extremely happy with how the film played. I went to school the next day and sang the praises of The Return of Swamp Thing to everyone that they started to get annoyed. I didn’t care, though, as I had seen a great film and everyone needed to know about it. If someone asked how my day was, they heard about the film. If someone told me to tie my shoe, they heard about the film. Hell, if someone sneezed, they heard about the film. I talked about the film for days. After a while, I moved on to some other film and told people about that one. 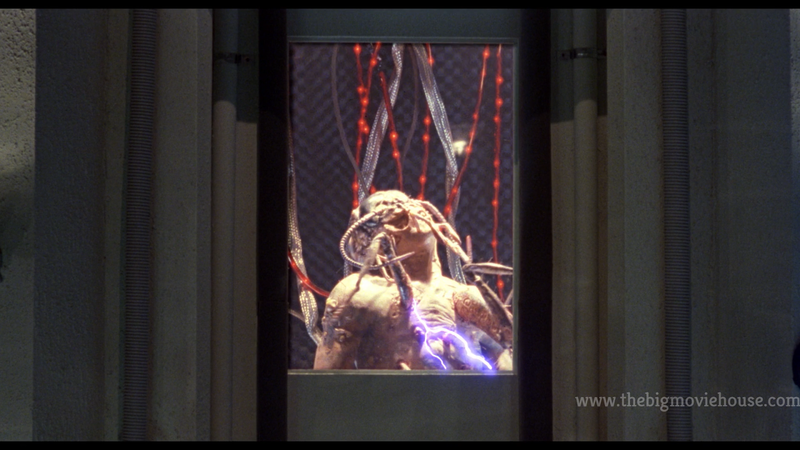 I never forgot about Swamp Thing and his return and how the film was so special to me. I bought the film on VHS when one of the many video stores in my area were shutting down and I watched the film many times until I retired it for the DVD. 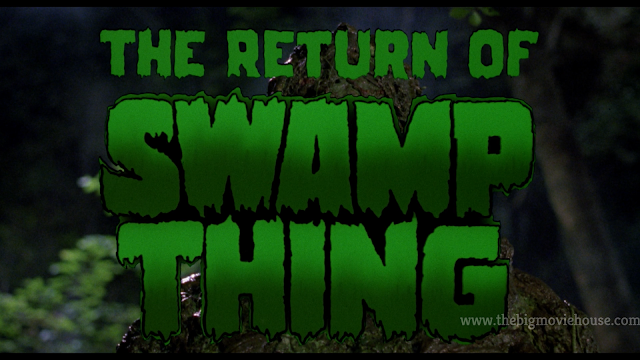 The Return of Swamp Thing is the perfect comic book film from the 80’s. Forget Superman 2, 3, and 4. Forget Batman or The Punisher. 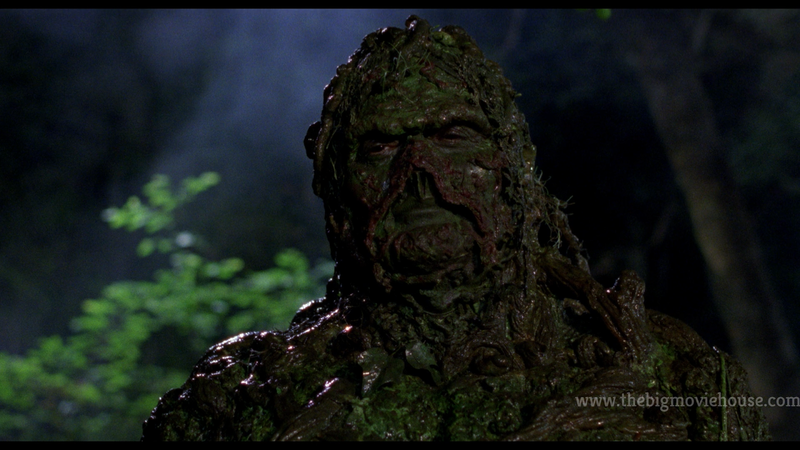 The Return of Swamp Thing is the film that I will always remember whenever someone asks me about comic book films. The film is well made. The cinematography is top notch and always looks way better than it should. 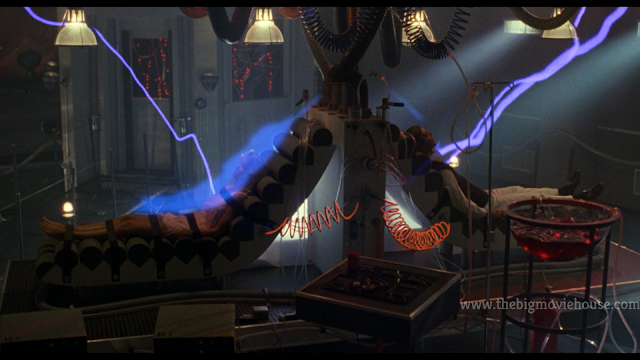 The nighttime scenes look amazing and really play into the atmosphere that director Jim Wynorski is setting up. Wynorski is a director that I really liked during the 80’s and early 90’s. He made some great shlock like Deathstalker 2, Chopping Mall, and Dinosaur Island. It always felt that he was making films for the teenager in all of us and I always had respect for that. Plus, producers actually gave him decent budgets back then, so his films always looked great. You can’t talk about The Return of Swamp Thing without talking about the effects. This was an 80’s film so the effects are practical and over the top. Swamp Thing looks great, much better than he did in the original film. He actually looks like he is made of the swamp instead of looking like a guy in a swamp suit. The other monsters are hideous to look at, but you can’t stop looking at them. They are monsters that we have never seen before and they look really creepy and odd. 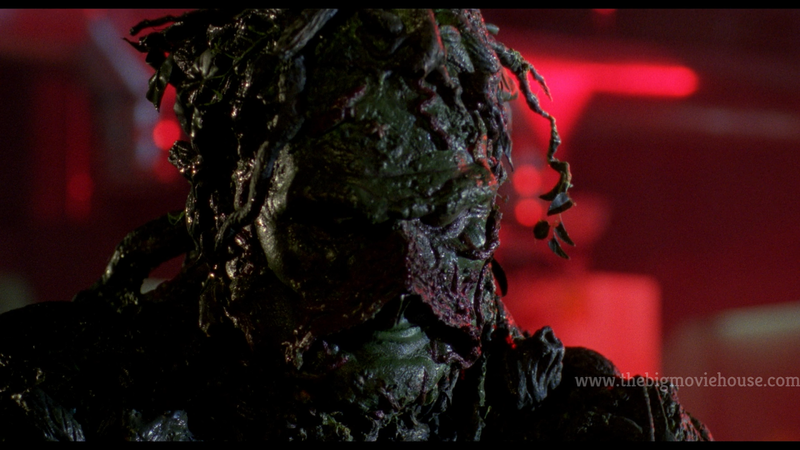 The monster that Swamp Thing fights in the trailer park is one of the coolest monsters I have ever seen in a film. He has an elongated mouth and eyes close to the top of his head. It is something that I never forget. 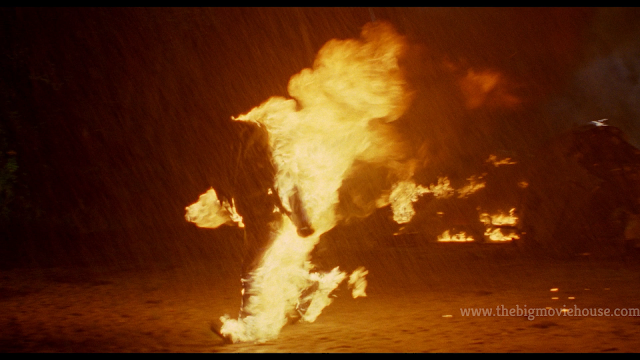 Also, the fire stunts are really good too. Full body burns with the characters running as well. I wanted to make sure that got its own shout out. The Return of Swamp Thing is a really fun film that doesn’t take itself too seriously and gets a lot of mileage out of that. Jokes are being hurdled left and right, but they never come at the expense of the film. The characters are reacting to things like most normal people would and there is humor in that. Jim Wynorski deserves props for making the film as fun as it is on the small budget that he had. Everyone is great in the film and it moves at a great pace. Sure, the story is barebones and the characters are pretty one dimensional, but we don’t care about that. We want to see monsters fight and that is what we get, and more. The blu-ray, from MVD as part of their Rewind Collection, is great. The picture quality is some of the best that they have done and the sound quality is great as well. The special features, some legacy, but mostly new from MVD and Jim Wynorski are incredibly entertaining and fun. This is one of the must haves up to this point in 2018. Everything about this release screams love for the film and you have to respect that.